Click here for all available helex's for all sleds. Description: Precision machined billet aluminum progressive cut compound angle driven clutch helex for the reverse cam style clutch. 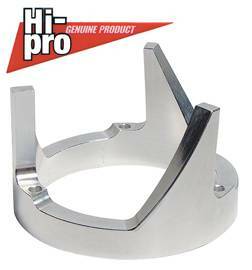 Description: Precision CNC machined billet aluminum Arctic reverse cam driven cam. All compound angles are progressive cut.